The gig economy is here to stay. For example, over 15% of workers are ‘self employed’ in the UK today. This means that the earlier you adapt, the more likely you are to reap long-term benefits. From hiring patterns to retention programmes, the gig economy calls for a deep review of the management methodologies that you currently practice in terms of your employment contracts as well as your work culture. Given how, today, you are more likely to build remote teams than ever, this involves being aware of competitive project pricing, skill sets to looks out for and the bandwidth to research well. The following sections throw light on such areas so that you make the most of the booming freelance market that is gaining momentum by the hour! While every employee-employer relationship starts with the trust that they place in each other, given the shorter contracts and the virtual nature of freelance contracts, there is no harm in being slightly cautious with your steps. Refrain from taking people’s claims at face value. Not every freelancer you interview is as experienced, qualified or professional as they’d want you to believe. Virtual resumes make it very easy to fudge the ‘claim gap’ that arises between reality and perceptions. It is always safer to ask for references and spend time verifying the claims of an interviewee. Peer ratings, LinkedIn profiles, client recommendations and a short pilot stint are few ways to ensure that you build a virtual team you can count upon. A specialist programmer from San Francisco, a visual effects artist from Mumbai and a business development manager from Singapore… This is certainly the chance to build a team that plays on strengths and strengths alone. But that comes at the slight uncomfortable albeit easy going culture of minimal management. Freelancers don’t particularly respond well to micro-management and this means, you will have to work hard at establishing timelines, so that, they understand deadlines. While you can differentiate qualified applicants from fakes as stated earlier, timeline adherence can be assessed only as the projects begin. It helps to have honest conversations about expectation from the very beginning and ensure that they value your time as well as that of their colleagues. Freelancers from around the globe are at your doorstep with reputed marketplaces bringing their skill sets to you with secure payment gateways. However, if you spend enough time, you will see that there are steep differences in their project rate quotations. And with professional services, good quality most often follows a steep pricing. However, depending on the project at hand and for the skillsets you are hiring for, spend time reviewing profiles and prices. 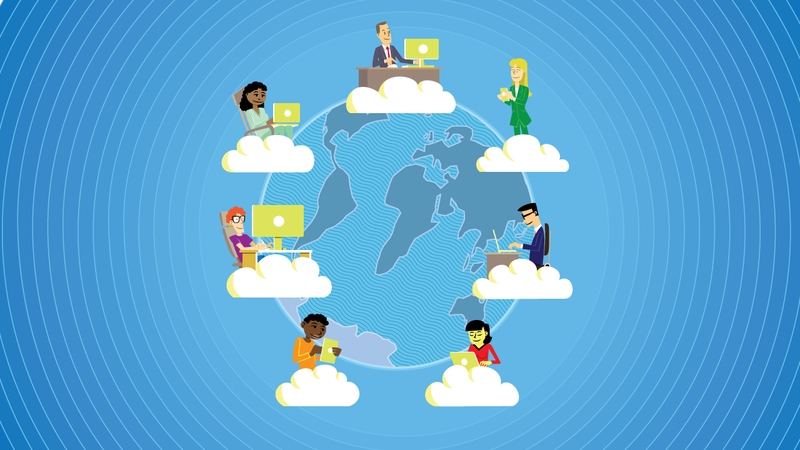 While virtual teams offer multiple ways to save operational costs, good work and varied experiences come at steep costs. If you’re truly open to having professionals from across multiple geographies though, you will be in a better position to leverage competitive pricing. Also remember that it is essential to have a formal contract in place, especially in the case of longer commitments. Given time zone difficulties and language constraints, you may experience communication failure and resultant project failure every once in a while. So it helps to insist on short weekly/ monthly virtual video conferences when you have multiple freelancers in your team. This way, you can try to clarify queries and understand their points of view on a better note. Although you may find that emails and textual communication are easier, the pay-off with face-to-face communication is always higher. In addition, such modes of communication are exceptional ways to network as well. Ultimately, good relationships are a core component of being able to build a team of freelancers and make the most of the gig economy. You will need your brand to be one that professionals value and look up to. Haggling over project rates constantly or being nitpicky when you don’t need to be so, not only ruins your reputation but also plays a spoilsport in encouraging freelancers to go an extra mile for you. Instead, give them the room to grow professionally, share honest reviews. This way, you will eventually establish yourself as a credible brand that they aspire to add to their portfolio. The next time you hire a freelancer, remember that you are a global manager and that you are employing a global professional. Be prepared to learn from the diversity that you may experience and welcome the gig economy with your arms wide open! As the subject-matter expert for Saviom’s resource management tool, Aakash Gupta champions for best management practices through various publications and webinars.You can contact him on LinkedIn here. Next Still haven’t found what you’re looking for?